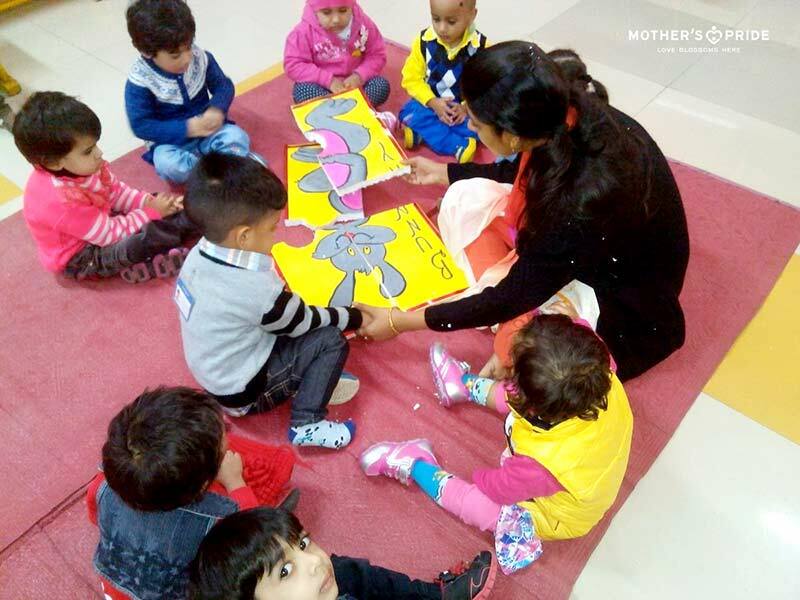 To develop and enhance children’s observation skills, loco-motor and speaking skills; the teachers at Mother’s Pride school organized an activity termed ‘recreating the bunny’ for the little folks. The teachers created cut-outs of different parts of a bunny to give it a look of a puzzle. 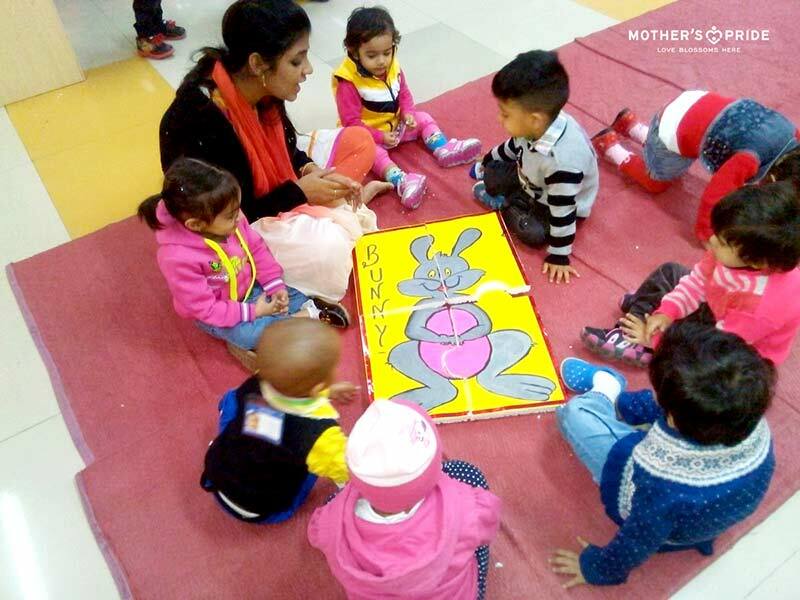 The bunny was shown to the children and a demonstration was given on how to solve the puzzle. Children were then divided into small groups. Together, they completed the bunny on the floor. 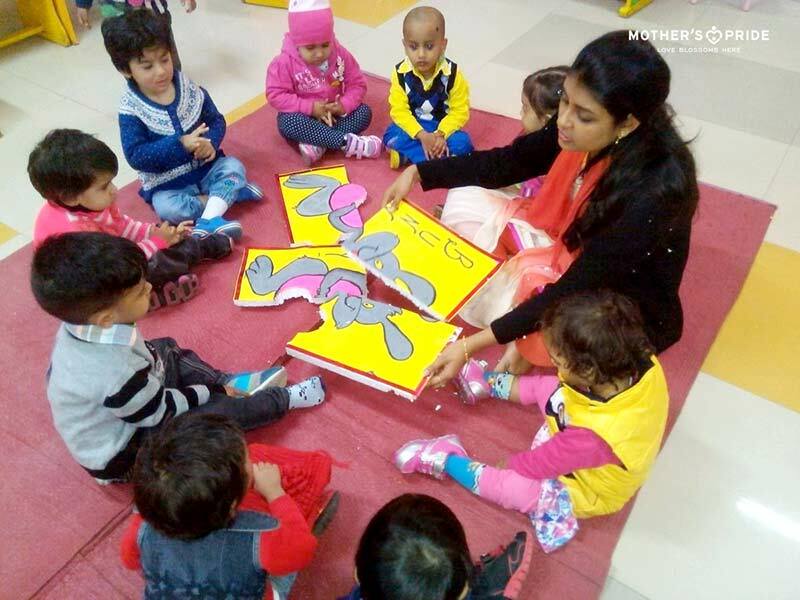 The entire activity enhanced their cognitive, social and language development.